Leighton Denny Remove and Rectify Cuticle Remover naturally dissolves dry cuticle skin and then moisturises to improve softness and suppleness. The twin action cuticle remover and conditioner is a gentle way to have beautifully shaped and groomed cuticles. It contains a rich blend of fruit AHAs and moisturising oil that is gentle enough to use daily to keep cuticles soft and supple. 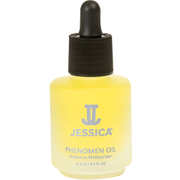 Pump a little Remove and Rectify directly onto the cuticle and massage to moisturise and stimulate removal. Aqua, Lactic Acid, Vitis Vinifera, Ethylhexyl Palmitate, Cetrimonium Chloride, Glyceryl Stearate, Cetearyl Alcohol, PEG-100 Stearate, Alcohol Denat, Passiflora Quadrangularis, Ananas Sativus, Vitis Vinifera, Hydroxyethylcellulose, Parfum (Amyl Cinammic Aldehyde, Geraniol, Limonene, Linalol), Benzyl Alcohol, Methylchloroisothiazolinone, Potassium Sorbate Sodium Bisulfite, Tetrasodium EDTA, Methylisothiazolinone, C.I.17200, C.I.42090. Excellent! Before purchasing this product I was under the impression that all cuticle removers were the same and really did not do that much, but after using this one, I stand corrected! I am now on my third bottle. The fact I am repurchasing it over and over again says it all; for me at least. From reading various reviews I thought this was the product for me But alas I am somewhat disappointed. I find this potion doesn't do much more than a standard hand cream does. Perhaps my cuticles aren't as bad as I think they are! The smell is very pleasant kind of minty and sweet lemony. Great Product from the reliable Leighton Denny. Great Price for a product that makes a job easier by being able to leave this on. This means a quick, easy, and very successful process. Just do it. The most amazing product EVER!! Have tried so many in the past and non of them do the job! I am on my second bottle now and will never change! Leighton Denny's Remoe & Rectify Cuticle Remover is brilliant and when used in conjuction with his hoof stick keeps my cuticles in good condition. 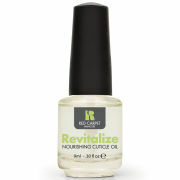 Love this product, you see an improvment in nails in a few days. 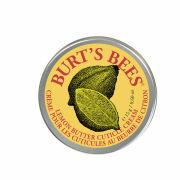 Not harsh it gently removes cuticles and makes nails look much better. Very moisturising too. Leighton Denny Remove & Rectify Cuticle Remover is a great product. I like this product. It's minimize cuticle growth. I love Leighton Denny Nail products. Leighton Denny Remove & Rectify Cuticle Remover (12ml) tidies up the cuticles and is very gentle. Perfect for a professional finish.